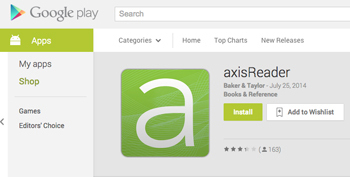 Use Axis 360 for free. For questions, visit the Help site at: https://bakerandtaylor.force.com/axis360. This help site is always being updated with new information. 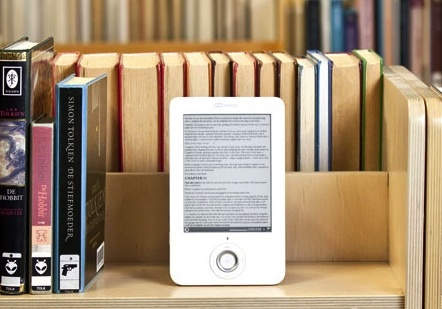 Library patrons can install the app on both Android and Apple iOS tablets and smartphones via the Google Play or Apple store, allowing patrons to “Find a Library”, bookmark the link, and instantly borrow and download best-sellers and fiction and non-fiction titles in EPUB and PDF formats. NOTE TO KINDLE USERS: The Axis 360 team is pleased to announce that the latest version of our mobile app is available for Kindle Fire users! Patrons should update to the latest version as soon as possible, as this version of the app resolves the issues patrons were having with being able to checkout, return, and renew titles. If any patrons have side-loaded the app on their Kindle Fire devices, they must uninstall this version before downloading the new version from the Kindle App Store. Blio is no longer part of our services. If you borrowed a Blio formatted title in Axis 360, you will not have to open it in Blio.